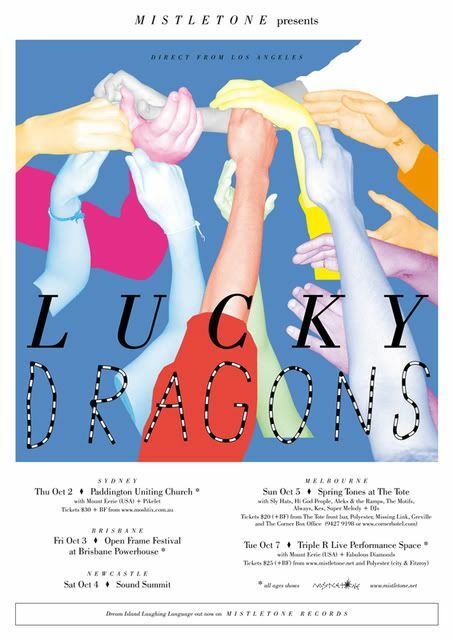 Lucky Dragons Australian tour 2011 (Black Dice + Melbourne Festival). Artwork by Bjenny Montero. Lucky Dragons Australian tour 2008. Artwork by Alex Fregon.